Zelkova is not native, but it is currently the largest tree of any species found in Delaware. Found along many city streets in the First State, its vase-shaped crown makes it an attractive and popular urban tree. Also known as Japanese zelkova, the tree has been planted in many areas that were once occupied by the American elm tree. 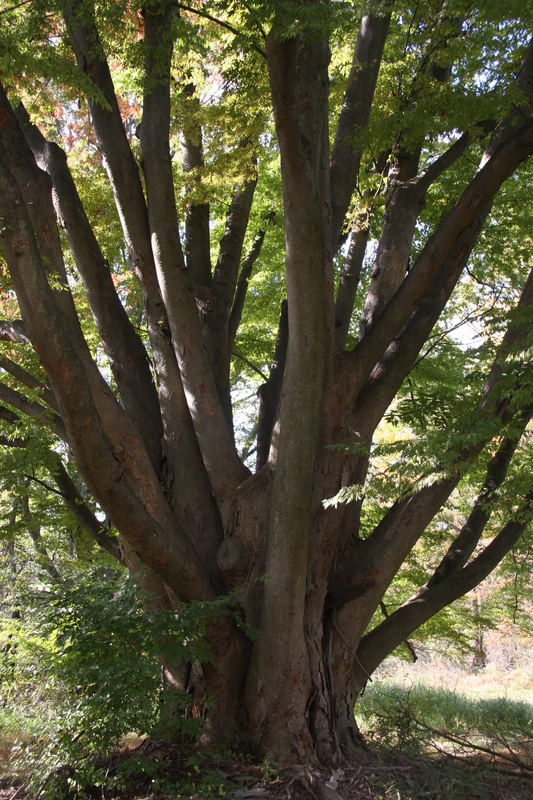 A deciduous species that can sometimes reach 100 feet in height, zelkova prefers sunny sites and has a moderate growth rate. Some unique specimens can develop massive trunks. Zelkova leaves look much like the American elm (almost wiped out by the Dutch elm disease – both are in the Ulmaceae family). The leaves turn orange, yellow, or red in fall.